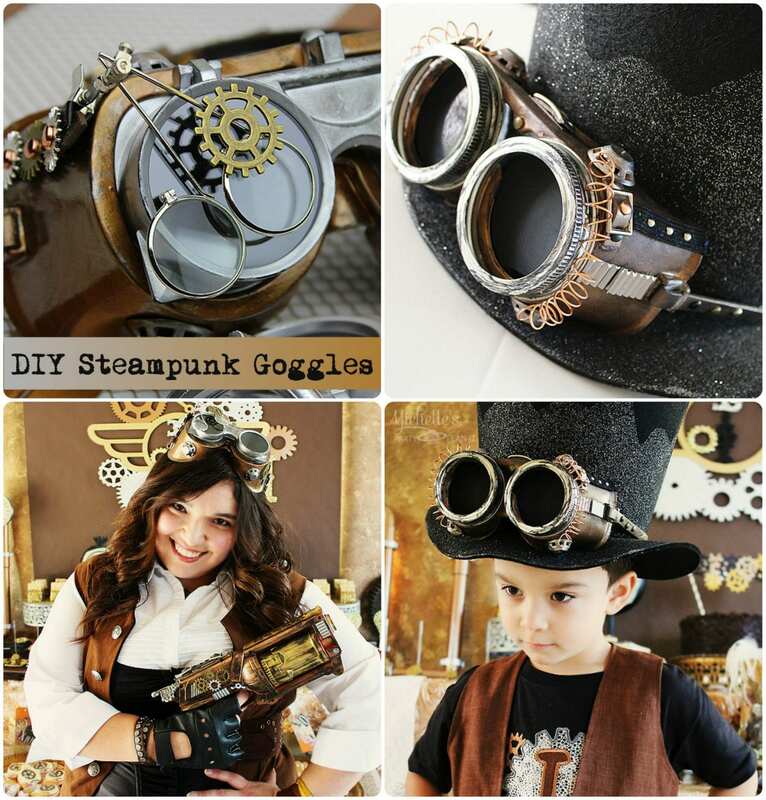 There are several ways to create your own Steampunk Goggles for a Steampunk party, Halloween or Cosplay for ComicCon. 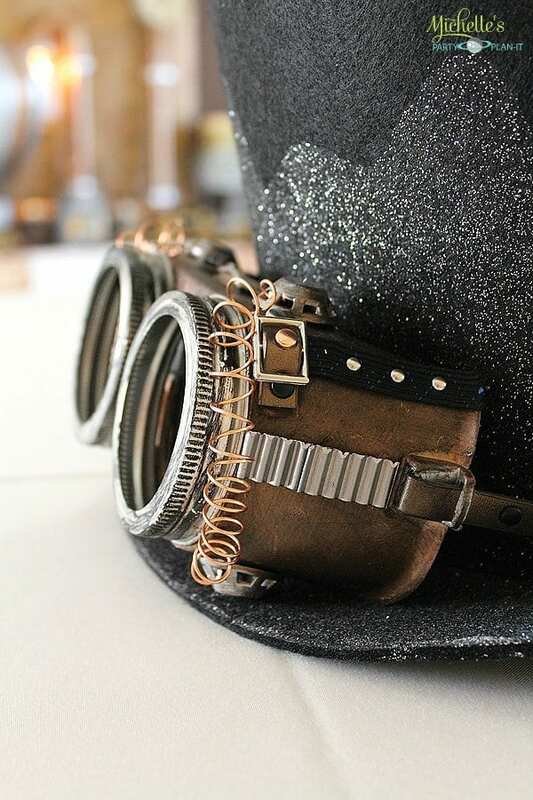 Today, I’m sharing the pair of welding goggles I steampunked for my “Stopping Time…Forever Thirty-Nine” birthday party. 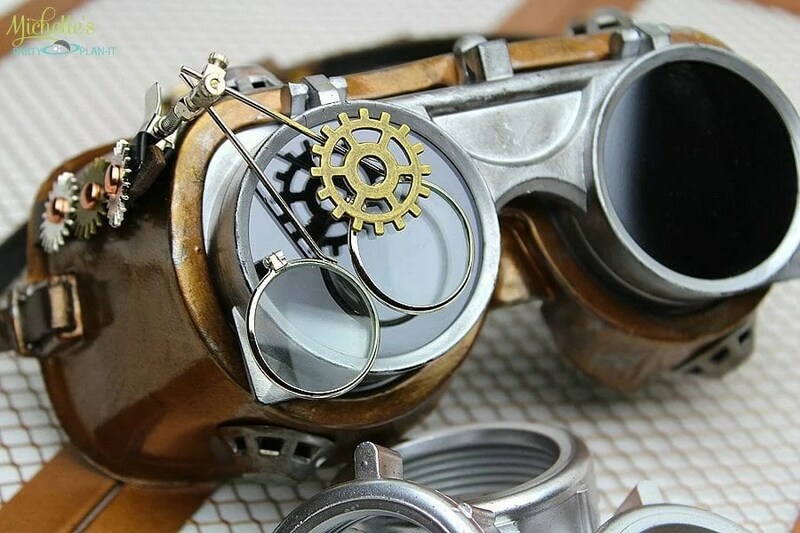 To get started, I purchased a pair of Welding Goggles along with a pair of Jewelers Clip on Eye Loupes at my local hardware store. 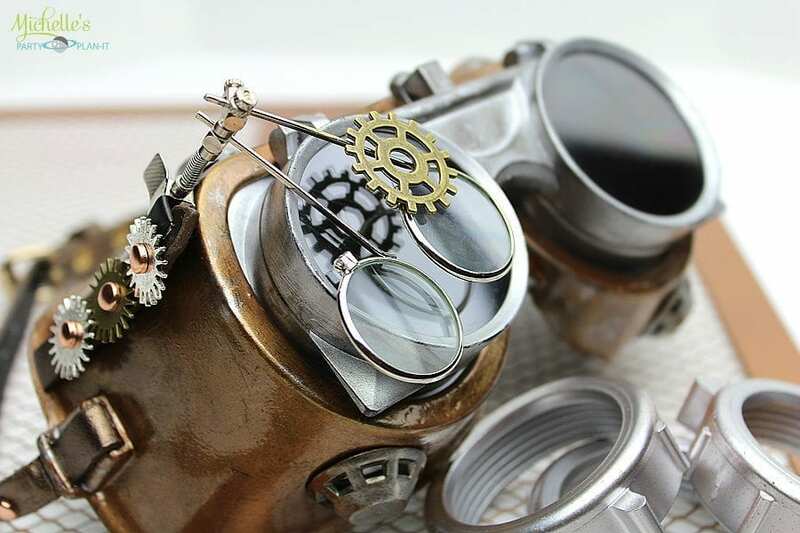 After removing the lenses and straps, my husband spray painted the goggles metallic bronze and the lens pieces a metallic silver. 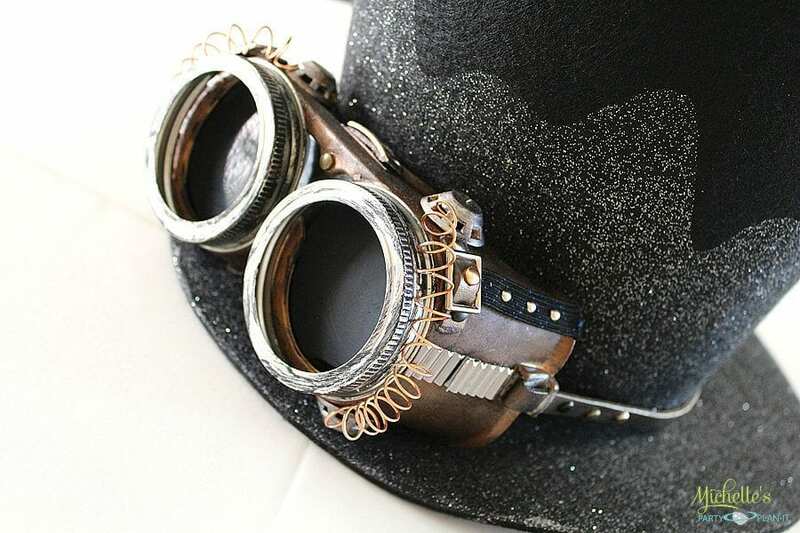 Once the paint dried, I reassembled the goggles and “aged” them by dabbing black, gold and silver ink all over the goggles with a cloth and then rubbing it in to create an “aged leather” look. I then lightly brushed silver metallic paint over the air vents and let dry. Once the paint and ink dried, I added metal gears and brads on both sides of the goggles with super glue then attached the Loups. For the strap, I found a brown pleather belt in my closet that fit perfectly, YAY! 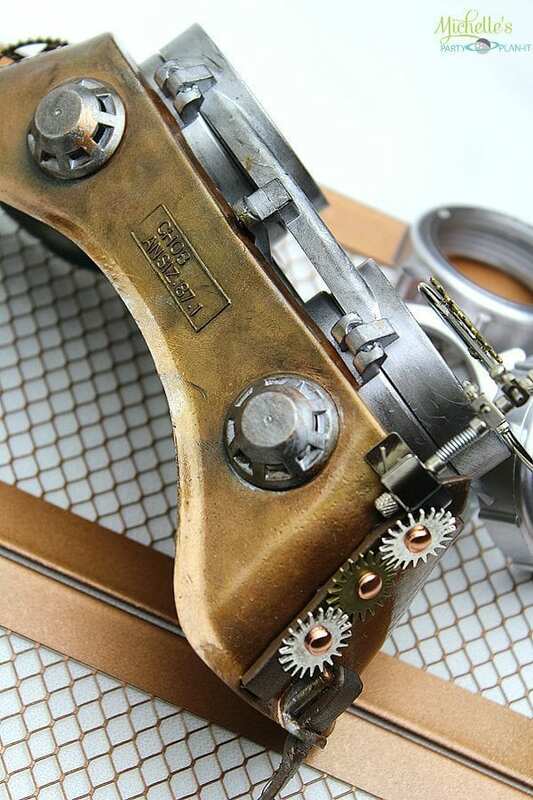 Using a hole punch, I punched several holes on the belt and added metallic brads for embellishment. I was so happy with the first pair I made, I went on to make a pair for my son. I used the same technique, but added mason jar lids for the lenses, copper wire and extra hardware to make it a bit more masculine. 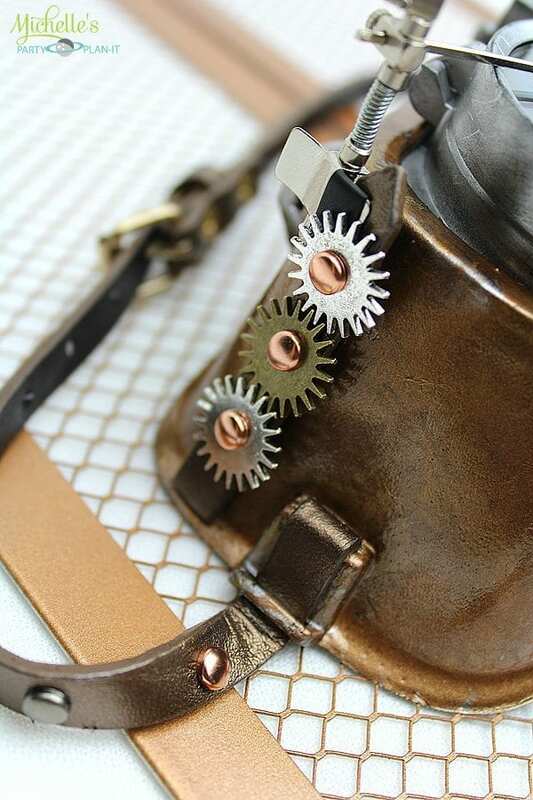 I am by no means an expert on steampunk techniques, but this was the technique that worked for me and I hope you are inspired to to try something new too! Disclosure: This post may contain affiliate links; however, all opinions expressed here are my own. So creative and you make it look so easy these are the coolest I have ever seen!